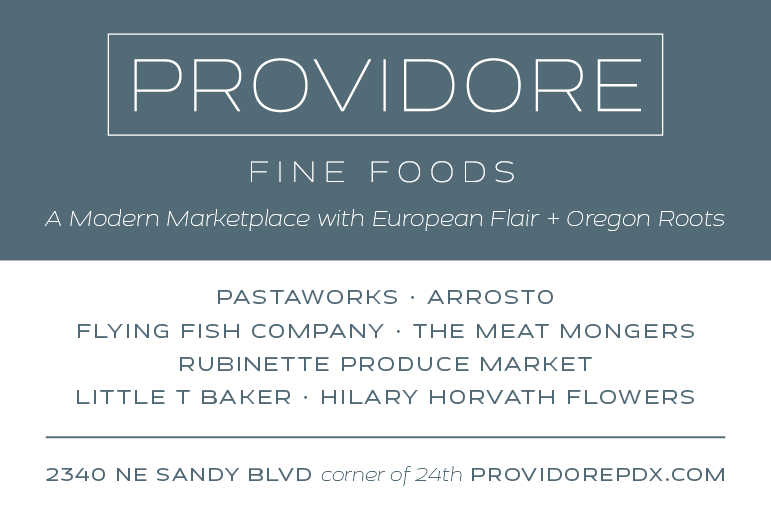 Ordering your groceries online is nothing new in Portland. 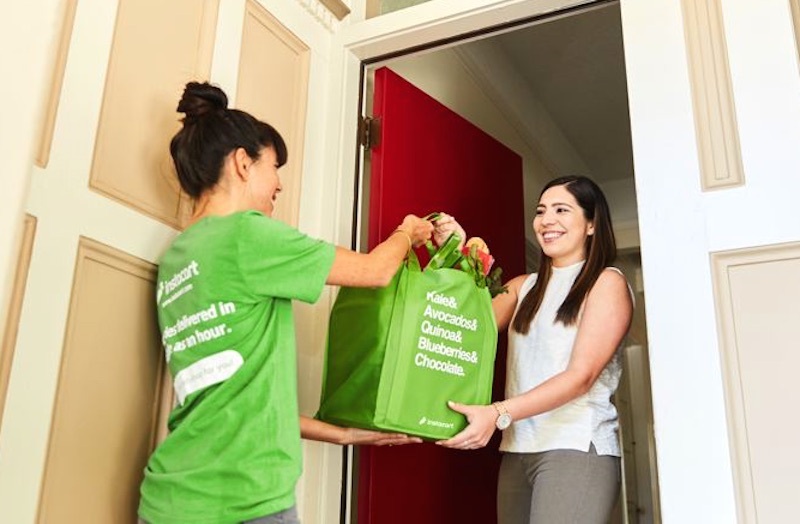 Larger supermarkets like New Seasons, Costco and Whole Foods have offered it, along with home delivery, for awhile, and even newcomer Green Zebra has added the service for the neighborhoods it serves. Last fall Fred Meyer added online ordering for groceries, but customers must order the day before and pick up at the store. The reason these big boys are jumping on the online bandwagon is simple—they've found that people don't want to take the time or trouble to drive to the store, find a parking space and then wander the aisles checking items off their grocery lists, not to mention fighting traffic and wrestling with bored kids. Then there's the ease of knowing exactly what the store carries, rather than getting there and finding they're out of pomegranate juice or that they've discontinued your favorite brand of mayonnaise. 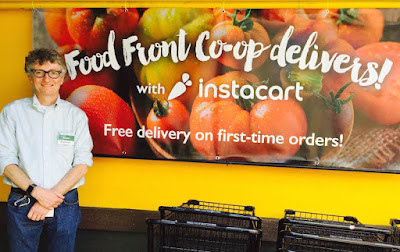 That's why just this month Food Front Cooperative Grocery became the first co-op in the area to offer both online ordering and home delivery to its owner/members and the public through the Instacart system. According to Marketing Director Brie Hilliard, the decision to go forward with an online system was made two years ago but was put on the backburner until the co-op had the systems in place to launch it successfully. The timing for adding the service is fortuitous, since this year New Seasons opened its new Slabtown store just a few blocks from the co-op's original location on Northwest Thurman. So now, in addition to serving customers near the Thurman location and its second store in Hillsdale, Hilliard said that with the exception of a few zip codes, the co-op is able to fill orders in most of Portland's close-in neighborhoods in one to two hours. Though you don't have to belong to the co-op to use the service, General Manager Eamon Molloy (at left in top photo) said the goal was to expose a broader spectrum of people to the high quality of the products that the co-op offers and, as a result, hopefully gain new owner/members. Not only do owner/members get discount pricing, but with the addition of online ordering and home delivery, it no longer matters if people live near the store as long as they're within the delivery areas. A key reason that the co-op decided to go with Instacart's service is that it's easy to sign up for the service from Food Front's website, and Instacart has a trained "picker" in every store to fill orders and hand them off to drivers, though Hilliard stressed that the store is trying to use its own staff to fill as many orders as possible. While Food Front may be the first co-op in the area to add online ordering and delivery, Jenna Chen, Marketing and Design Manager at People's Food Co-op in Southeast Portland, said that its board is considering adding the service "because [our] competitors are doing it." "People don't go out and shop anymore," she said of the trend to buy groceries online, even among the supposedly non-traditional audience attracted to co-ops. The holdup with adding the service at People's, according to Chen, is that the point-of-sale (POS) system would have to be completely changed in order to work with the service providers' systems, an expensive and complicated undertaking. 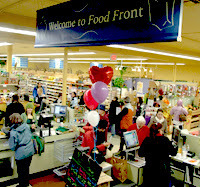 As for Food Front, in the first two weeks, without any big announcement or press releases, orders were coming in from as far away as Sellwood and St. Johns, a promising start. "We're really excited to offer this service," said Molloy. Apparently the co-op's member/owners—along with non-members—are, too. One happy customer summed it up this way when she placed her order: "This is a gift to my daughter. Thank you for making it possible for a mother living in Germany to send a hug."